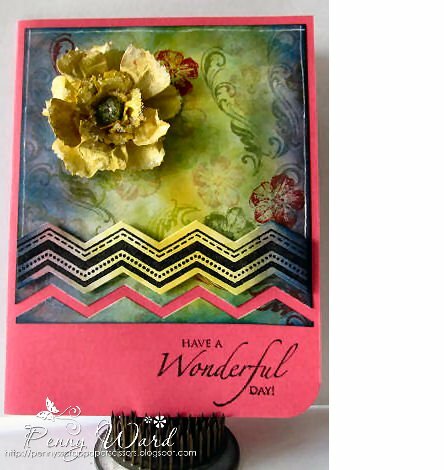 Hello scrappy friends.....just wanted to share a card today that I made with "stuff" just sitting on my craft table. You know you have the same pile of goodies that you didn't use on your last 20 cards for some reason or another. The pile finally gets large enough you say to yourself "I should do something with this stuff or throw it away". So I decided not to throw mine away.